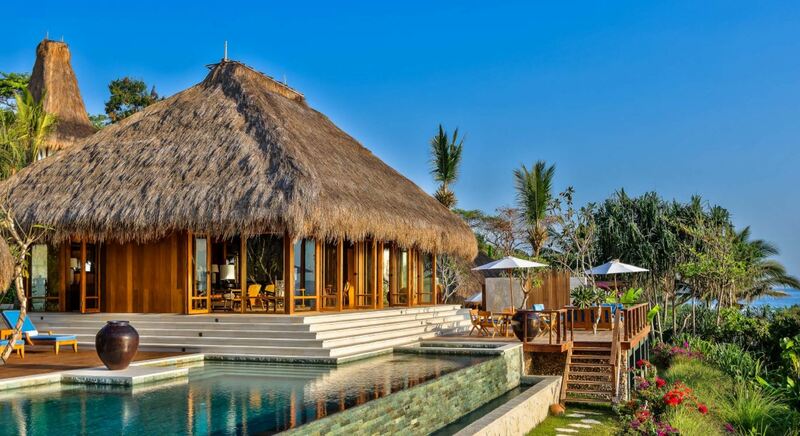 Nestled in the grounds of Nihi Sumba Island Resort, Mamole Tree House spoils both the adult and child within you. The exotic setting, luxurious modern amenities, and spacious floor plan make this the perfect hideaway for an adventurous family escape or an exotic honeymoon. 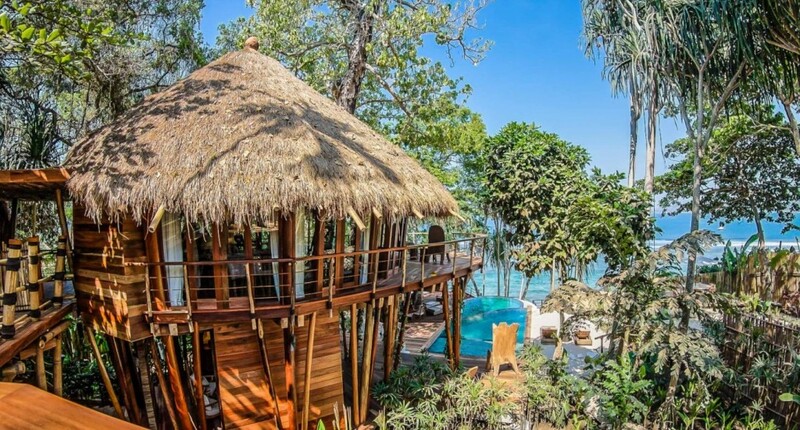 Consisting of two circular houses connected by a bridge, Mamole features traditional Sumbanese decor, with 3 bedrooms, 3 en-suite bathrooms and ground floor living areas in each circular house. This unique layout ensures privacy while adding in a touch of playful character. While at Mamole, relax by the infinity edge plunge pool, enjoy direct access to a private beach, or gaze up at the stars from the plentiful outdoor living space. Also included in the rate is in-villa dining, non-alcoholic beverages, and select complimentary activities. The villa butler and Nihi Sumba Island resort staff will gladly assist with any off-property activities, including snorkeling, sightseeing, and mountain biking. Access to the Nihi Sumba Island grounds is only a short stroll away, where there are additional amenities, including restaurants, bars, the boat house, and a spa. While leaving the indulgent comfort of Mamole to explore the island may prove difficult, exploring Nihi Sumba Island Resort is a must-do, as it was named the Number One resort in the world by Travel + Leisure in 2016. 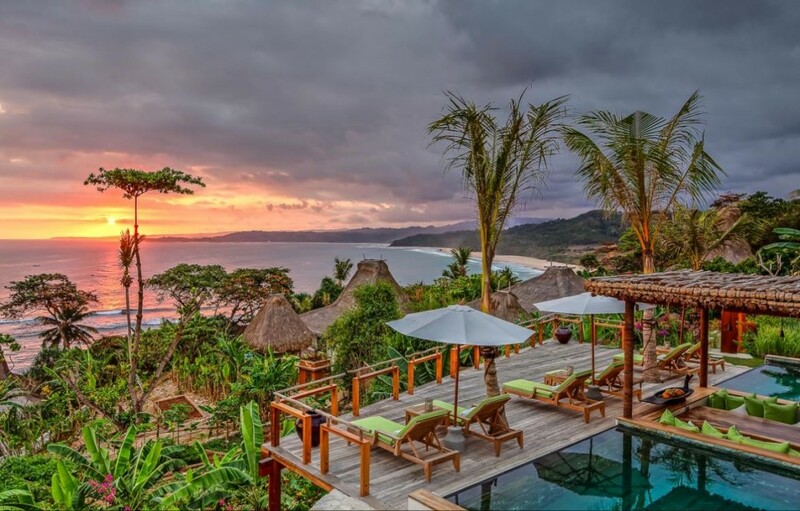 Also located on the grounds of top rated Nihi Sumba Island Resort is Mendaka, a stunning property featuring five individual villas owned by the owner of Nihi Sumba Island. While Mendaka can be booked out for a truly indulgent honeymoon, the property is perfect for small groups, larger families or even an intimate destination wedding. Each of the five villas feature Sumbanese architecture and decor, a bedroom with a king size bed, en-suite bathroom, lounge area, and a balcony that has sweeping ocean views. The location of the main property as well as each villa ensures the utmost privacy for each of the guests. One additional unique feature is the infinity pool, which features ocean views and a waterfall. Tucked behind the base of the waterfall, there is a quiet massage cave for the ultimate in seclusion. Similar to Mamole, Mendaka includes butler service, in-villa dining and non-alcoholic beverages in the rate, while spa treatments and excursions can be booked for an additional fee. Access to the amenities at Nihi Sumba Island is also included to round out a truly luxurious and pampered stay in paradise. Villa Sapi is located on the island of Lombok, which is known for its stunning beaches and excellent surf break. Villa Sapi was designed with both luxury and fun in mind, with its eccentric modern design and close proximity to the Gili Islands, which are a playground for snorkeling, diving, and hanging out. Perfect for families and friends, Villa Sapi consists of two buildings, the main villa and a guest villa, and offers panoramic views from every room. After a day of exploring the island, relax in the lounging area while waiting for the in-villa chef to prepare a sumptuous meal. 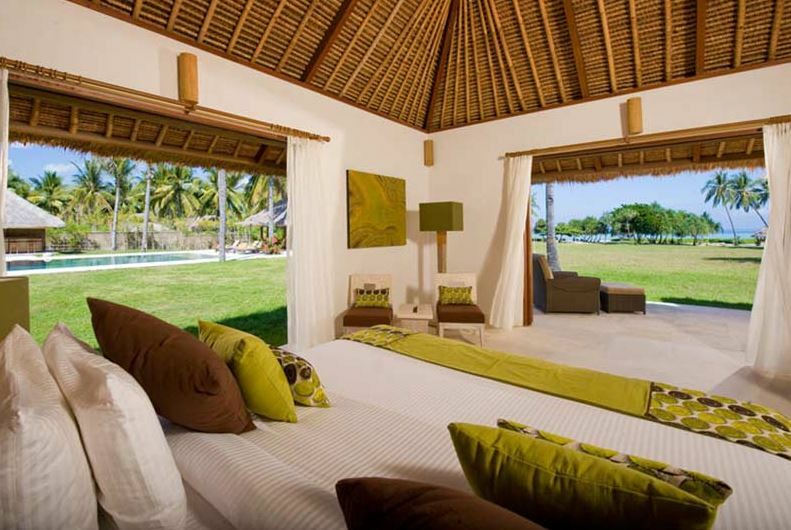 The guest villa has two bedrooms, each with a king bed and an en-suite bathroom. Each bedroom also has ocean views and there is access to a private plunge pool. The main villa has four bedrooms, all of which boast the same amenities. 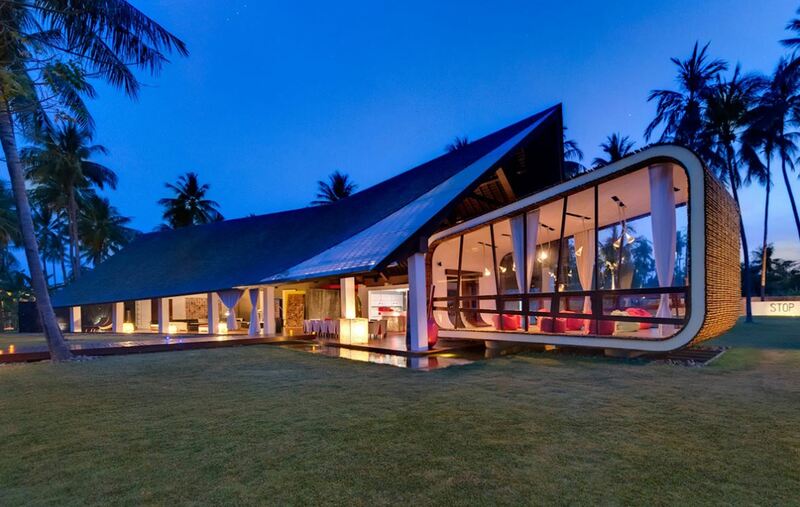 With the features of a luxury resort, and a truly distinctive style, Villa Sapi awaits. Also located along the beautiful Sira Beach on the island of Lombok, Sepoi Sepoi is a luxury designer retreat from reality. A creation of British architect Jane Taylor, Sepoi Sepoi was designed with the ultimate family escape in mind. This spacious retreat features six bedrooms and six bathrooms, with a mix of bedding sizes to accommodate family members of all ages. The master suite, known as Gold Master, will spoil the adults with an en-suite bathroom complete with walk-in shower, private study and massage room. The main living area is open-plan with views overlooking the massive outdoor space, which includes several lounge areas, a pool, hot tub and dining area. While the in-villa personal chef creates a culinary delight, the kids will be entertained in the outdoor movie area and the adults can sip cocktails at the poolside bar. When not at this hideaway from home, visit the nearby Gili Islands, enjoy a round of golf, or laze away on the long stretch of beach. For the adventurous, a mountain climb will be a welcome break from lazy days by the pool. Sepoi Sepoi is truly the place to stay for creating lifelong family memories.